A walk to discover the traditional flavours and hidden treasures of Civitavecchia.A tour with a complete discovery of Civitavecchia, its ancient history and its great monuments, a walk through the heart of the streets and neighborhoods revealing its traditions of the past. 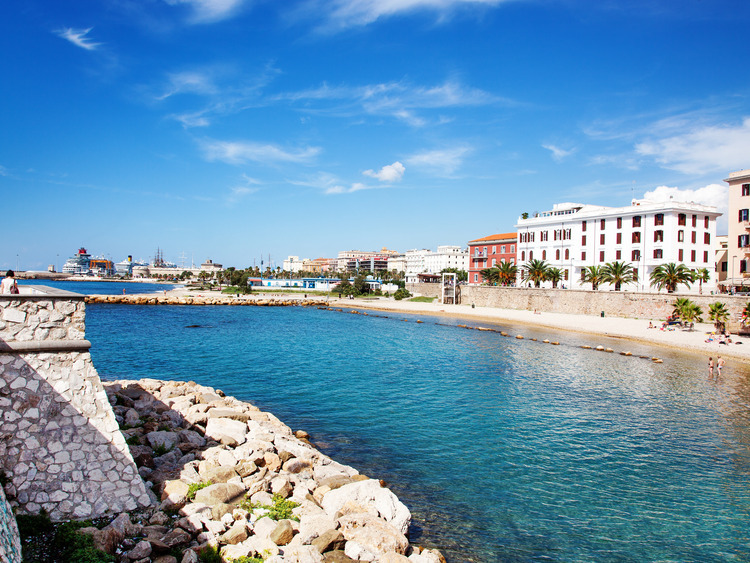 The town of Civitavecchia is the result of a long process of civilization and urbanization of the Lazio region. Vestiges of the ancient passages like the Port of Traiano and the city of Centumcellae are the most important examples. The history of this city lies on the sea, winding through the narrow streets that we will discover accompanied by our guide. We will start the tour of Civitavecchia from the walls of the city, before reaching Piazza Aurelio Saffi and Prayer Church that can be admired from the outside. This church, the oldest of Civitavecchia, was built in 1685 and is known as "Church of Death" because it is linked to the birth and to the work of the Brotherhood of Death and Prayer. A few steps further ahead of us the characteristic Piazza Leandra overlooked by the Church of the Star which is famous because here is where all the religious celebrations of Civitavecchia came to life. This church, also called the Church of the Virgin of Grace, is dedicated to the Madonna delle Grazie, it is the seat of the Confraternity of the Banner. Of course we cannot miss a visit to the city market, with its flavors and colors which give a special touch to our walk. Proceeding along the main street, we will pass the Teatro Trajan (built in the first half of the nineteenth century in honor of the founder of the Tyrrhenian city) until you get to the Ghetto area. Although this area was designed to accommodate people of Jewish religion, hence the name "Ghetto", however, the Jews did not inhabit these since the houses intended for them were occupied by the fishermen's families in the city. Leaving the neighborhood behind us, we will find in front of us the Marina, or the beautiful waterfront of Civitavecchia, the imposing Fortress Michelangelo, begun in 1508 and was completed in 1537: a local tradition which would be completed by a male, which is the main tower of the fortress, it was designed by Michelangelo Buonarroti, from which came the name of Michelangelo fortress. A few steps away there will be a shuttle bus provided to get back to the ship. This excursion is entirely on foot. There are no internal visits. On sunday the market is closed.